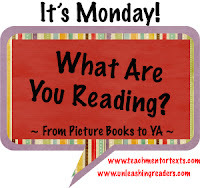 Mrs. Williams Reads: It's Monday! What Are You Reading? I haven't posted an IMWAYR post in quite awhile. But since I am once again attempting a winter break book-a-day, I thought I'd recap my reading so far. I've been in quite a reading rut, I think that between Thanksgiving and winter break, I only read picture books, not one complete novel to be found. Thankfully, having time to travel and rest over the last week has brought me back to my usual reading habits! I gave this book 5 stars on Goodreads. A different take on the usual dystopian novel. Water has become extremely scarce, and therefore, extremely valuable. Lynn and her mother have lived alone for her entire 16 years, their main goal for survival is keeping their water supply safe from others. This is the book that brought me out of my reading rut...it's fantastic! I'm really looking forward to anything this author writes in the future! 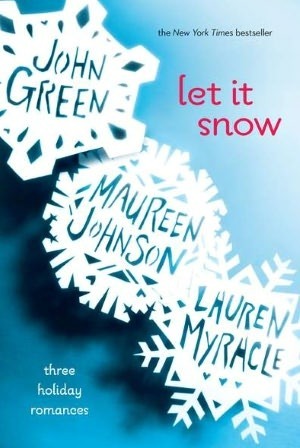 I think someone recommended this on their blog, so I checked it out as a quick, Christmas-themed, read. It's a collection of 3 short stories that have intertwining characters and events. I enjoyed reading the first story and getting a glimpse of a character, then reading the next two to see how their story fit in with the others. 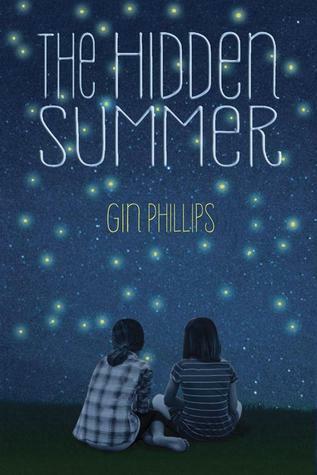 This book starts out with a seemingly perfect-for-each-other family spending an unexpected snow day together. 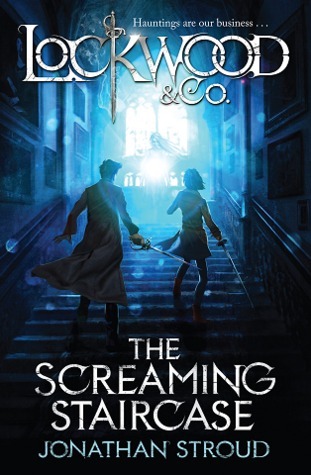 Quickly, things turn to tragedy and Mia is fighting for her life. 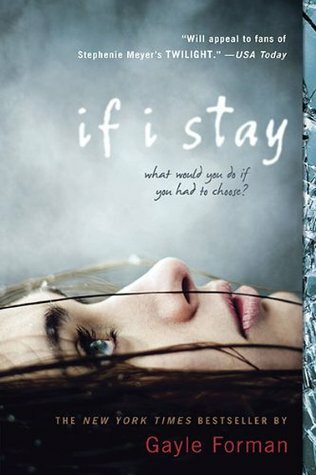 It kind of reminded me of Before I Fall by Lauren Oliver, which I also loved. 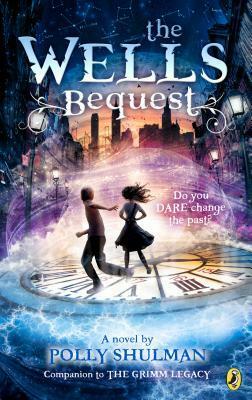 There is a sequel to this book, Where She Went, which I have requested at the library and will hopefully be reading soon. I would actually kind-of put this book in a category with the above book, and the Lauren Oliver book. Paige has recently died as a result of falling off the roof of school during physics class. She and her fellow ghosts, two other kids who also died at school, are bound to the school grounds. 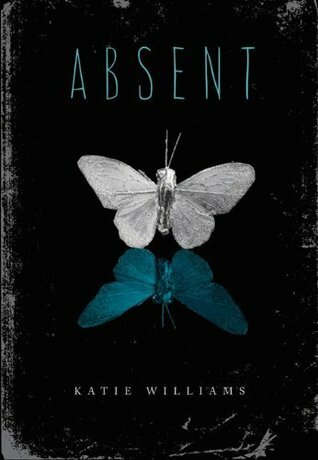 As she listens to her fellow classmates deal with her death, she starts hearing awful rumors about herself and sets out to set the record straight. This was a really short book and I loved it! 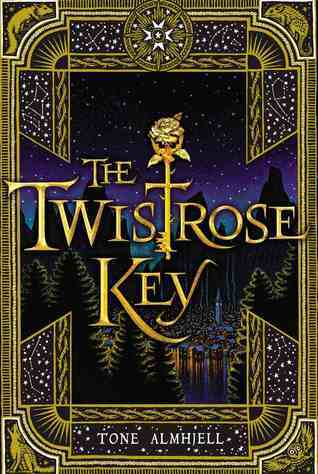 I loved this companion book to The Grimm Legacy. The whole premise is so intriguing - a mysterious library in the middle of New York City where guests can borrow objects from history - including magical items from fairy tales and science-fiction. I think I'm going to do a blog post about this one later this week. 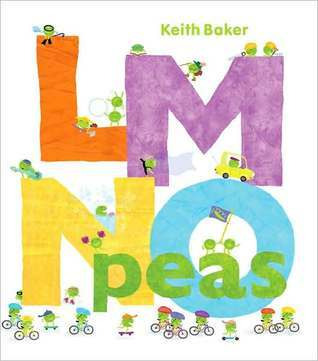 I read this one to my sweet little niece...she's not quite 1, so I don't know what she thought of it. But I think it's cute! Wonderful titles you have shared! 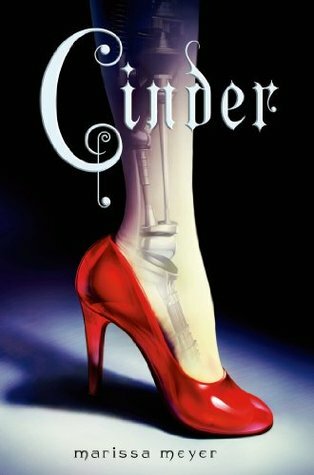 My vote for your next book is Cinder - I am just about to start the second book in this series! Love the look of this second title in Grimm Legacy books - I'm excited to read both books. Happy Reading for 2014! 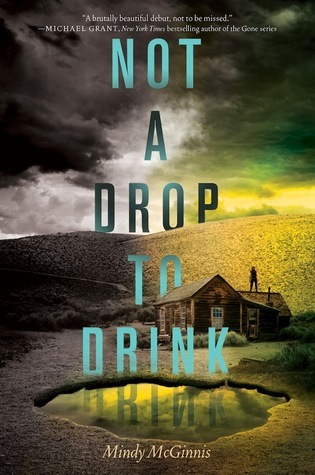 So glad you loved NOT A DROP TO DRINK. 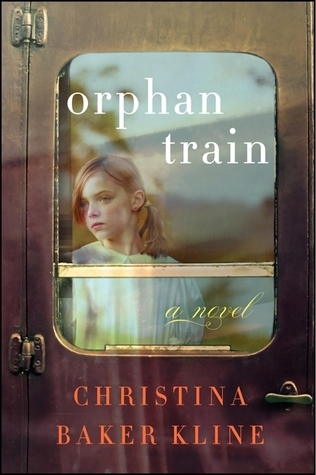 It was one of my favorite books of 2013. I read ABSENT as well! It was a fast read, wasn't it? Thanks for sharing your reading with us!